Burlap is one of my favorite materials to work with. Not only do I decorate and craft with it, I use it in my Etsy shop all the time. It adds a touch of warm and rustic charm to my typically modern decor. 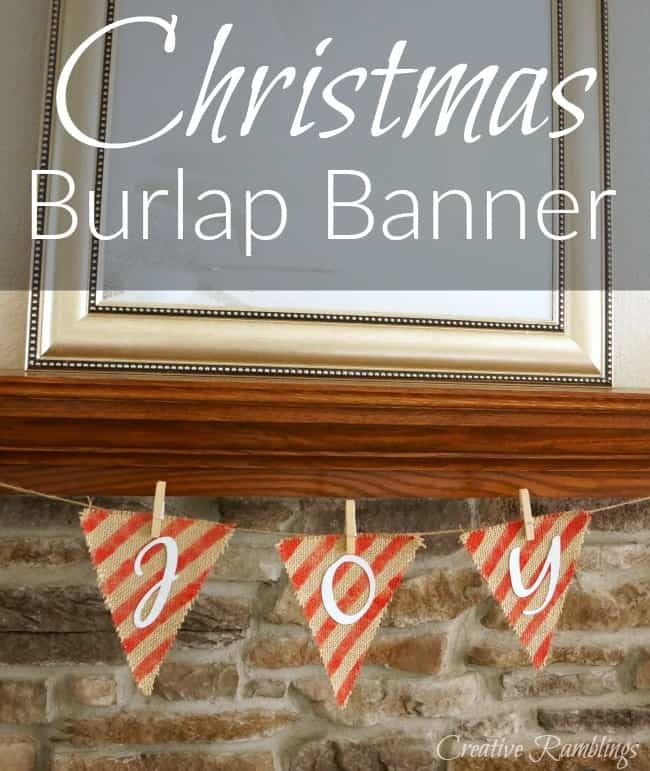 Today I’m sharing a simple painted burlap banner along with some other bloggers who are sharing beautiful Christmas burlap projects. Be sure to scroll all the way down and check out their creations. 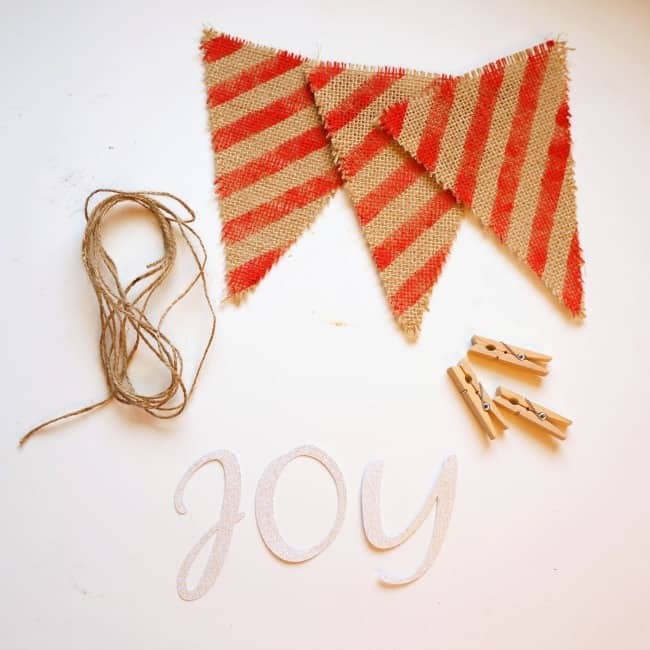 I used red paint and a sponge brush to stencil stripes on my burlap pennants. Once dry I glued on glitter letters that I cut with my Silhouette. If you don’t have a Silhouette you can buy all kinds of pretty letters, pre-cut, at a craft store. Then I clipped my pennants onto a length of twine and hung it on my mantle. This is such a simple project, but it really brings some nice color and warmth to my mantle-in-progress. Christmas decorating is going a little slow this year, Baby Girl is having a field day with ornaments and other shiny items, so I am trying to get things out of boxes and out of her reach while she’s napping. Sometime before Christmas I’ll get it all done! 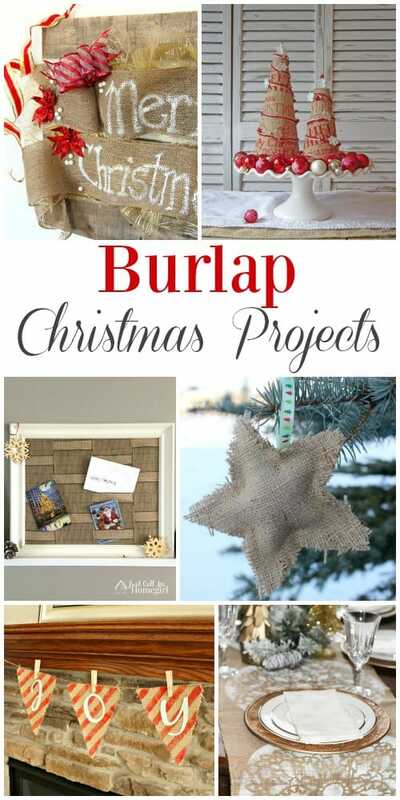 Take a look at these fabulous burlap Christmas projects my fellow bloggers have created. Click on each photo to view their posts. 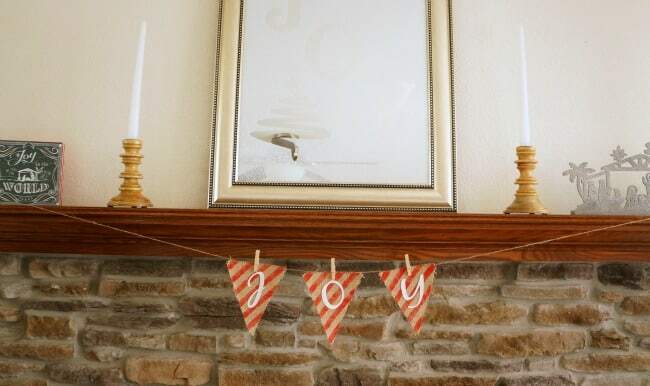 Do you decorate with burlap? I’d love to hear about your favorite crafty piece. I love this banner, it’s so cute! My Christmas decorating is going a little slow this year too! This banner is adorable! I love the endless possibilities with burlap and banners! So festive! I adore these kinds of banners! So festive, AND adorable! Too this adorable. Love banners!